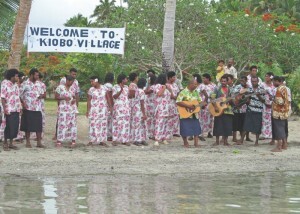 Off the beaten tourist track in Fiji, there are many rural communities waiting to greet you with a giant ‘BULA’ welcome. Across the nation, community based eco-tourism initiatives are being established to welcome visitors and offer an insight into real village life. Some of the most beautiful sights to behold around the islands of our country are based in the rural villages. 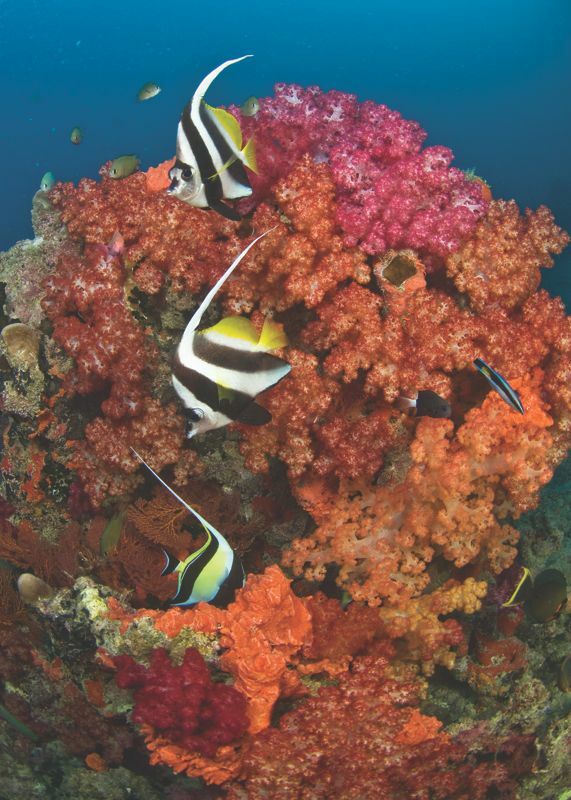 The coral reefs of Fiji, while owned by the state, are divided and under the stewardship of assigned communities around the coastline. This is referred to as an ‘iQoliqoli’ and is sub-divided into areas designated as ‘kanakana’ (to be eaten from). Located on the second largest island of Fiji – Vanua Levu, lies a district named Kubulau, in the heart of the province of Bua. 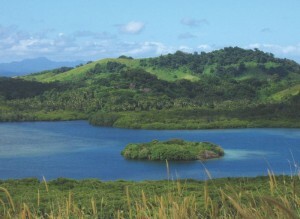 Kubulau has been the focus of much conservation activity over the past ten years due to the foresight of community leaders in declaring part of their iQoliqoli a ‘no-take zone’ – one of the first in Fiji. The wonders of the reefs surrounding the island of Namenalala were discovered long before SCUBA diving became the common recreational activity it is today. Pioneering divers hungry for adventure and discovery were attracted to the Namena reefs with tales of their pristine untouched beauty. 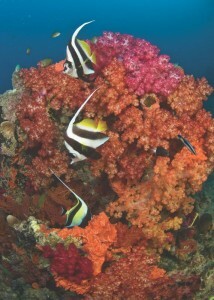 During the 1980’s, commercial fishing around the reefs of Namena was big business. As the years went by, the people of Kubulau watched the numbers of fish on their reefs dwindle and decided to act to protect their fish stocks. 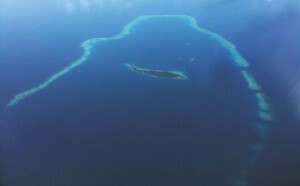 They declared the reefs around Namenalala Island, a Marine Protected Area (MPA – or no-take zone as they were known then) in 1997. The boutique resort island of Namenalala has been observed as one of the last breeding grounds for hawksbill turtles, with sightings of green turtles and the occasional leatherback; it is also a major seabird nesting site, hosting approximately 600 pairs of protected red-footed boobies. In addition, the Namena reef system is a known migratory pathway for humpback whales, and it is common to encounter other species, including bottlenose and spinner dolphins, pilot, sperm, false killer and minke whales! An international coral reef conservation organization, ‘The Coral Reef Alliance’ (CORAL) visited the Marine Reserve back in 2001, and subsequently sponsored a respected community leader to visit the Bonaire Marine Park in the Netherlands Antilles, to learn the mechanics of managing a marine park. The trip was a success, and in 1994, the first ‘Dive Tag’ was sold by an appointed committee. 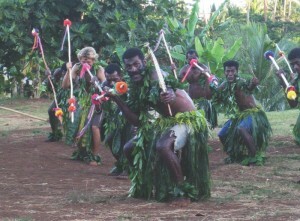 A voluntary contribution of FJ$25 is requested from each diver and the income generated is used to help support both the management of the marine reserve and to provide scholarships for the children of the district to attend tertiary education institutions– something that is quite a struggle if you are from a rural village in Fiji. As the number of divers increased, local leaders began to worry that the tourists they were relying on to conserve the reefs, might actually be harming them. Existing mooring buoys proved insufficient to handle the increasing tourist traffic within the reserve and as a result, heavy anchors were crushing coral and leaving them vulnerable to infection. In response to this concern, the people of Kubulau teamed with their long-time conservation partners to devise a solution to protect the reef and avert anchor damage. CORAL joined forces with the Kubulau chieftain and the Kubulau Resource Taveuni Management Committee to create Fiji’s first anchor-free zone within the Namena Marine Reserve. Together, they mapped out locations for a series of permanent moorings within the reserve; today six deepwater moorings serve popular dive sites. All mooring buoys are open to both tour operators and private vessels. Despite the ever-increasing popularity of the Namena Marine Reserve as an international dive destination, the Kubulau community has struggled to encourage the tourism industry to their shores. 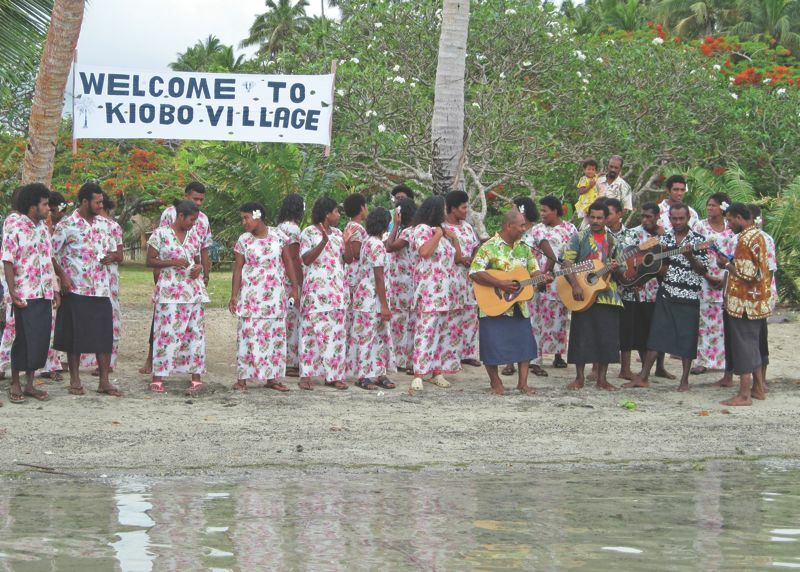 Opportunities for village visit type arrangements by local resorts were slim due to the remoteness of the villages and were thwarted due to the long winding unpaved roads, from the closest tourism town – Savusavu. However, determined not to be beaten and with a little help from their friends, village visits to the coastal villages began! In addition to the six moorings within the Namena Marine Reserve, three nearshore moorings were installed outside 3 of the coastal villages in the district, namely the chiefly village of Kiobo, Nakorovou and Navatu – from which a fourth village, Raviravi is also accessible. 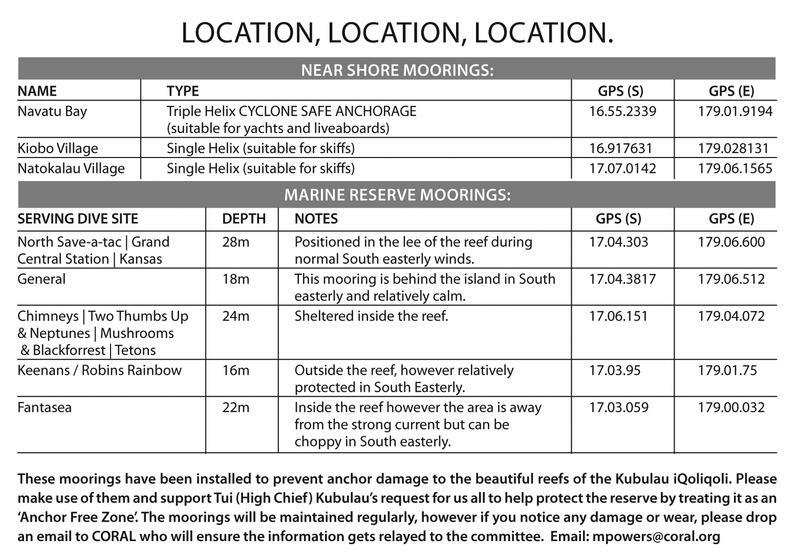 The mooring outside of Navatu, is deep and within a sheltered bay, so during strong weather conditions it provides a safe place to bunker down. To better enable villagers living closest to these moorings to capitalize on increased boat based tourist visitation, CORAL and its partners, including the Wildlife Conservation Society (WCS) orchestrated ‘Community Based Tourism’ workshops for community members. Participants learned to conduct tourism feasibility studies, write business proposals, create budgets and develop other important skills. 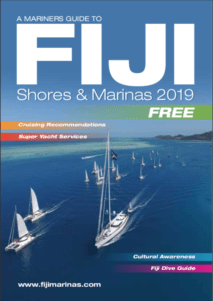 Today, villagers enjoy meeting divers and yacht tourists to hear tales of experiences on their reef and the ocean, while mariners and divers appreciate learning about Fijian culture in a rural village setting. The enterprises diversify the local economy and further reduce the possibility that Namena’s waters could again be opened to damaging commercial fishing.